At the beginning of spring training, it was a three-way competition between Austin Wynns, Andrew Susac and Chance Sisco for the backup catcher position of 2018. With Wynns being sent down to Norfolk a few days ago and Susac today, Chance has shown the team that he can be a MLB level catcher. While we all know that the 2nd round pick from 2013 can hit, he still has some to learn defensively. In yesterdays game against the Red Sox he had 2 defensive errors. One of the factors that’s keeping the Orioles top catching prospect in the Majors is so that he can work with Caleb Joseph who is a defensive stud and work with bench coach John Russel, who has been credited with most of Sisco’s improvement so far. Now it would not make much sense to make one of the Orioles best prospects a backup, but on the other hand we know that Caleb Joseph need significant ABs to be good. 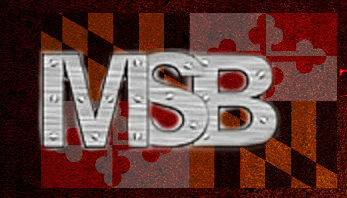 So, it is safe to assume that it will be a 70/30 split, but there may be another chance for Sisco to get some AB. 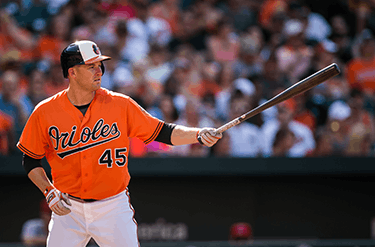 With Trumbo expected to start the season on the DL, Sisco could get some AB’s at the DH position, this would also be helpful because Sisco bats lefty and right now the Orioles lineup is very righty heavy. 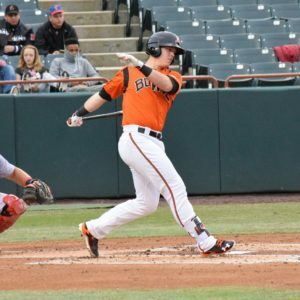 We do not know when, but we can expect later in the season for Sisco to take over the full-time duties, at that point the 31-year-old Caleb Joseph would be prime trade material, and then we could see Wynns or Susac again before the season is over. Manny Machado with Cal Ripken Jr.